As published on Chic Savvy Travels Blog, January 30, 2011. At this very moment, the thought of lying on a beach somewhere sipping rum-based drinks sounds incredibly appealing. In reality, though, I get bored of that scene pretty fast. And that’s a trend we’re seeing (well, at least according to my own personal observations): More women are looking to travel with a purpose, whether it’s learning to paint in Portugal, hiking to Machu Picchu in Peru or volunteering their time and energy to a charitable cause abroad. 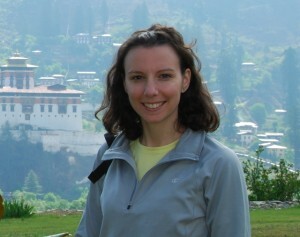 Tamara got her first real taste of travel a few years ago when she traveled to Africa and trekked up Mt. Kilimanjaro. Since then, she hasn’t been able to stop — her travel adventures include trekking in the Himalayas, embracing the culture in Barcelona and exploring one of the happiest places on earth: Bhutan. Up next? For two weeks in February, Tamara will be traveling through southern India with SCAW, distributing 4,000 bed kits to children in need. And she’ll be blogging about her adventures on Chic Savvy Travels — including what it takes to pull off the distribution of thousands of bed kits in only two weeks, the stories of the children and families she meets along the way, and what it’s like traveling with six strangers (her team members) through rural India. In the photo: Duguay rink wins Sportsman’s Bonspiel in extra end. 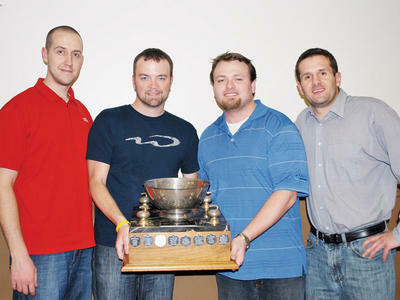 SPORTSMAN’S BONSPIEL CHAMPS: Jonathan Duguay, Nathan Small, Mark Mellalieu and Steve Morgan (pictured left to right) won the Sportsman’s Bonspiel last weekend at the Oakville Curling Club. Jonathan Duguay’s rink edged out former world junior curling champion John Base in an extra end to win the final of the 47th annual Sportsman’s Bonspiel last weekend at the Oakville Curling Club. Duguay threw a light takeout that curled sufficiently to chip out Base’s rock on the final shot of the game, giving Duguay’s rink a 5-4 victory. Duguay’s team also includes Nathan Small, Mark Mellalieu and Steve Morgan, while Base’s team also includes Ross Scarrow, Tom McLeod and Scott Muir. The rink of John Manderson, Kurt Tamowski, Alain Careau and Ron Renkema won the consolation main event, and Wayne Martin, Dan Leier, Craig Bancroft and David Feldstein took the fourth event title. Gord Alderdice, Jamie Sproat, Aivy Reinfelds and Michael Pettes won the seventh event. The bonspiel raised nearly $10,000 for Sleeping Children Around The World. The next major event on the Oakville Curling Club calendar is the 23rd annual Curl For Kids Sake Big Brothers Big Sisters Curling Bonspiel, which will take place Saturday, Feb. 19. For more information on the major charity fundraiser, call Kristin Vanderwater at 905-339-2355, ext. 222, or email kvanderwater@bbbshalton.ca. The club will also host a Learn To Curl program this summer for youths ages nine to 16. The week-long program will run Aug. 15-19, with daily sessions from 9 a.m. to 5 p.m. Spots are limited. For more information, call the Oakville Curling Club at 905-844-6982 or email oakvillecurlingclub@on.aibn.com. To celebrate its 40th anniversary, Sherway Gardens is presenting a retrospective exhibit that covers the history of the shopping mall. The exhibit, which continues until Feb. 26 in the mall's Gallery in the Garden, uses photos and newspaper clippings to show how Sherway has changed since opening in 1971. For example, in 1987 the Holt Renfrew wing was added, with the Bretton's wing (now the Sporting Life wing) added two years later. 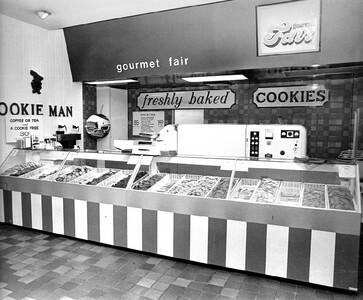 At the time of the Bretton's wing addition, the original food court, called Gourmet Fair, was moved to its current location on the second level. Its distinctive Teflon-coated fibreglass tented roof earned a Canadian Consulting Engineering award of merit for design. The exhibit also features samples of the mall's advertising campaigns and fashion ads from the last four decades. Also covered is the charitable aspect of the mall. Organizations it has partnered with include The Salvation Army, Habitat for Humanity, Trillium Health Centre, the Canadian Cancer Society and Sleeping Children Around the World. And, stars/celebrities have been a big part of the mall's history. A few big names to grace Sherway include Tom Jones, Michael Bolton, Tony Bennett, Jessica Simpson and Kim Kardashian. Burton Cummings, Ricky Martin and Canadian Idol's Kalan Porter have performed in Sherway Square while Jann Arden, Matt Dusk and Shay have appeared at charity fundraisers at the mall. As well, the mall has hosted movie shoots for films such as Mean Girls and the Michael Douglas and Keifer Sutherland action flick, The Sentinel. Jan. 25 marked the 20th year that Palgrave Public School and the Palgrave Rotary Club have contributed to Sleeping Children Around the World (SCAW), a charity that provides bed kits to children aged six to 12 in under-developed and developing nations. Dave Dryden, Chair of SCAW, visited the school to collect funds raised by the children - enough to purchase 132 bed kits at a cost of $35 each. 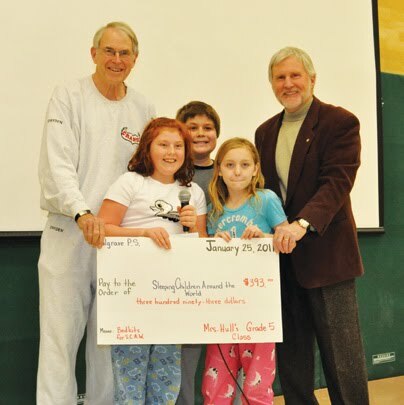 The Palgrave Rotary once again matched the school's fundraising efforts up to a total of $4,000. The students managed to surpass that goal. In total, the school and service club managed to purchase approximately 247 kits, which can consist of a mat or mattress, pillow, sheet, blanket, clothing, towel, school supplies and mosquito net, depending on local need. Principal Laurie Johnson spoke to students, who all wore their pajamas to school for the occasion, about being lucky enough to have a favourite pair of pjs, or maybe a few different pairs, and a warm, comfortable bed to sleep in at night. "Sometimes we have different colours of sheets we get to put on our bed. Some people don't even have a bed," she pointed out. Not only did children and their families donate money to the cause, Ms Hull's class also donated about $10 each in lieu of holding a 'Secret Santa' at Christmas time, raising a total of $393. "We lost count of how many bed kits this school has raised, and the parents and the Rotarians," said Dryden, estimating the total over the last 20 years would be about 2,000 to 3,000 kits. Wayne Cowell, a Rotary member, was on hand to speak to the kids about the service club and their ongoing partnership with both the school and SCAW. "Do you know what our favourite organization here in Palgrave Rotary is?" he asked students. "That's right, Sleeping Children Around the World." Over the last 20 years Palgrave Public School has supported many charities, but has always continued to put their efforts toward SCAW "because it's kids helping kids," said Johnson. "And it helps them appreciate what they have, and how they can help other people." During the Christmas season the students usually take on local causes, and this year crammed several police cruisers full of food that was donated to the Caledon Community Services' Santa Fund. "We do look after people around here as well, but we also help people out in the world," explained Johnson. SCAW serves nine countries, and it's not known which one will benefit from the money raised through this initiative just yet. Dryden explained that the volunteer organization, which takes no money for overhead costs, visits different countries at different times of year, depending on which season is best. Currently SCAW is in India, but by March volunteers are expected to be in Africa. "Over the years I think that they have donated at different times of year, so I think they have probably hit all our different countries," he said of the generous donations from the Rotary Club and Palgrave School. For more information about SCAW, visit www.scaw.org. Charities that can help kids of all ages- from newborns to young adults. You may have never thought you would need to seek help for yourself or someone else from a charitable organization, but that time has come. Now, you’re wondering exactly which one you need to contact for a particular need. Below are eight charities to help you or your children who need assistance. If you have a premature baby, you probably already know how hard it is to find clothing to fit your little one, and your financial situation may also not allow you to buy the special items that you need. By visiting Newborns in Need, you can receive help in the form of clothing and blankets for your premie. This organization, Kars4Kids, takes donations of cars- they’ll even tow your car free of charge. You can donate your car to benefit Joy for our Youth- a charity providing spiritual, emotional and physical needs of distressed Jewish youth. Every day you see commercials depicting children in foreign countries who do not have enough food. You may find yourself wondering if people are not aware that children in America are facing this same situation. In fact, according to statistics, approximately 13 million children in the United States are considered at high risk for suffering from undernourishment. Share Our Strength is aware of this need. The SOS Children’s Villages organization is responsible for establishing “villages” that consist of approximately ten group homes in a region of the United States or another country where children have been orphaned or abandoned and have no place to live. The Youth Law Center charity focus on making youth centers for abandoned children, children who have been removed from their homes for different reasons, foster children, and children in the criminal justice system abide by the laws that govern providing these children with a safe and healthy environment. Many parts of the world suffer from poor or practically non-existent health care due to civil wars, economic collapses, and other reasons. Doctors of the World volunteers go to these places to provide medical care, including prenatal care. The Fire Fighters Burn Camp organization allows children who have suffered severe burns to spend a week at a special camp staffed by doctors, nurses, and fire fighters. For that week, they are kids again, not burn victims. 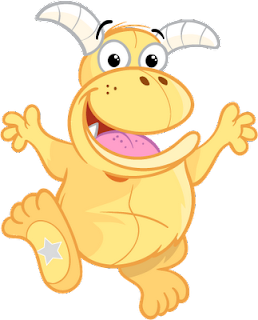 The Sparks charity provides funding that is specifically intended for pediatric medical research. Research is conducted to find cures or effective treatments for both well-known and lesser-known childhood diseases and conditions. Your children most likely have a comfortable bed, complete with mattress, soft pillows, and lots of covering. Many children around the world don’t. SCAW makes sure they do. Charities like these are designed to provide help when it is needed. These are only a few of the many child-focused charities out there. Others include organizations like the Make a Wish Foundation, and Special Olympics. Please take advantage of their services if you or someone you know needs help. Sleeping Children Around the World has picked up a $32,746 donation from Sherway Gardens. Last Wednesday, Sherway Gardens general manager Andy Traynor and senior marketing director Elena Price handed the cheque to Sleeping Children chair Dave Dryden. The organization makes bed kits for less fortunate children around the world. "Since 2002, Sherway Gardens has proudly donated 100 per cent of the proceeds from the Santa Experience to Sleeping Children Around the World," said Price. The Santa Experience is an interactive play session that features singalongs, dancing and story reading where children share their wishes with Santa and pose for a picture. Over the years, Sherway Gardens has raised $172,115 via the show. "It's great to see that during Christmas, children can celebrate and have pictures taken with Santa while kids overseas are receiving bedkits," said Dryden. In the photo: From left, Sherway Gardens General Manager Andy Traynor and Senior Marketing Director Elena Price present Dave Dryden, chairman of Sleeping Children Around the World, with the cheque for $32,746. From Oct. 31 to Nov. 15, 2010, the concerns of most Grade 11 students at Ingersoll District Collegiate Institute - or anywhere in southwestern Ontario - probably didn't get too much more pressing than school assignments or athletic challenges. Sixteen year-old Garrick Byers of R.R. 2 Lakeside, meanwhile, was participating in an international humanitarian mission that - according to a report he wrote that's now available online - made him "realize that my perspective would never be the same." Byers' grandparents are Richard and Joan Hryniw. Also of R.R. 2 Lakeside, the Hryniws are long-time stalwarts with Sleeping Children Around the World (SCAW), an organization started in 1970 by the father and mother of famous goalkeeper Ken Dryden. In 2009, SCAW celebrated its one millionth distribution of donated toiletries, sleeping gear and clothing - referred to by the organization as "bed kits" - in 10 different countries. Over much of that time, the Hryniws have fulfilled the indispensable role of coordinating visits by Canadian-based distribution teams to the host countries, as well as leading many international trips as distribution volunteers. Leading up to the November distribution trip to the Central American nation of Nicaragua, the Hryniws had again signed on to lead a group of six Canadians. Garrick, inspired by his grandparents, had signed on to join them. But then Richard suffered a health setback and was advised by his doctor not to travel. Suddenly, Garrick was thrown into a more crucial role, helping his grandmother - whom he affectionately calls "JoJo" - to lead the trip. "The furthest I had ever been (from home) was Michigan," Byers said in a recent interview. The group's home base was the capital city of Managua. Garrick immediately noticed the pollution and garbage. They were advised by their hosts, for safety reasons, not to walk even a block away from their hotel. "I was in shock, as I still was one and a half weeks later (when the trip ended)," he wrote in his report about the trip, which can be read on the SCAW website at SCAW Reports. But he was also taken by the children, probably less than 10 years old, juggling in the roadway for money at virtually every single stoplight in Managua; by the poverty-stricken students in the nearby school that served as the bed kit distribution centre for their entire visit - who start learning English in Grade 3 and are eager to practice on foreigners; and by the teenagers who worked at their hotel - also yearning to improve their language skills. "People were so friendly," Byers enthused. The days were long. Rotary Club members from the host country had done the advance work of deciding which communities would be visited during the 2010 visit, and locally purchasing the bed kit contents using funds donated to the Canadian organization. "We've gone to buying everything locally," explained Joan Hryniw, noting this is an effort to helps the host country's grassroots economy. "And (the purchasing volunteers) try to support cottage industries whenever they can." Each morning, the distribution team - with the assistance of a driver for the four-wheel drive SUV - set out for a village in the countryside. The longest drive was 4 1/2 hours one-way. On that day, the team was up at 4:45 a.m. and didn't get to bed until 11 p.m.
Around lunch time, they would arrive at the bed kit receiving village. They didn't want to take lunch with them and eat it before the distribution began because the Nicaraguans they were working with didn't have food. "Lunch was non-existent for two weeks," Byers said, adding this helped distribution team members understand the degree to which Canadians are fortunate. Usually, they would be provided a meal - often a fairly basic meal of soup or beans - by the community after the distribution was complete, but this would be later in the afternoon. Distribution team volunteers performed different duties each day. One day, Byers was emptying the bed kits out of the back room of a church, where they had been stored in anticipation of the team's arrival. As he gradually got closer and closer to the back wall, he moved one bed kit in the corner and "there was a group of massive tarantulas - each the size of a brick in the wall." It was a bit of a shock, but he was quickly informed that "kids aren't scared of the spiders because they live with them all the time." Advance set-up for distribution wasn't always perfect. In one community, volunteers felt they might be overwhelmed by a crush of people hoping to receive bed kits; eventually, the town's mayor spoke over a megaphone to restore order. "It was when you had the job of physically handing the bed kit to the child," Byers wrote in his online report, "that you saw the whole idea behind this charity. The kids started beaming. Some probably never lost their smile for a week. Others, including their parents, were so overwhelmed they began to cry. It is unlikely these children would ever receive so many new things at one time ever again." Each donation of $35 to SCAW is used for the purchase of one bed kit. For information, visit the organization's website at www.scaw.org . SCAW STILL CARRIES ON: SCAW began is work 41 years ago. What is SCAW and what does it do? "Sleeping Children Around the World" is a Canadian organization recognized for its efforts to make life better for children in other parts of the world. If you're an older Canadian citizen, you will recognize the name 'Dryden'. And if you're a hockey fan, you'll also recall the names Ken and Dave Dryden. What made the Drydens start this work? When Murray Dryden finished school, times were hard and he had trouble finding a job. He knew what it was like to be cold, hungry and have no place to sleep. Eventually, the economy changed. He got a good job, married, had a family, and, finally, had time to do some travelling. On one occasion when he and his wife, Margaret, were walking along a street, overseas, they saw what looked like a heap of rags on the sidewalk ahead of them. It was, indeed, a heap of rags -but, under them was a child trying to sleep. The Drydens felt something had to be done. SCAW was the result of this incident. In 1970 they came up with the idea of providing bedkits for needy children in other lands. Their aim was to improve living conditions for poor children -one million of them! And Sleeping Children Around the World was the result. SCAW became a registered Canadian charity. It took 39 years to reach their objective. Unfortunately, neither Margaret or Murray were still living to celebrate this accomplishment. However, the charity hopes to help another million over the next 10 years, and Dave Dryden is involved. Four countries and five places in India are on the current list. SCAW sends out a newsletter to donors, in which the bedkit distributors describe their experiences. Schools, churches, and individuals make their work possible. Even Collingwood has some contributors. A friend gave me a copy of a recent newsletter describing a visit to Honduras. Where possible, the items in the bedkits are made in the country where they will be used. Items vary according to their destination. For example, the Honduras kits had: mattress, pillow, pillow case, bed sheet, towel, pair of shorts, t-shirt, blanket, pen, pencil, eraser, pencil sharpener, coloured pencil set, two notebooks, and a mosquito net. In some areas the latter is very important. SCAW is 'run' from Canada. It has a board of five directors, plus an executive director, and a committee of 11 members. The head office, in Toronto, is the former Dryden home. Destinations overseas have a local Rotary Club. It has the task of finding the most needy children, and arranging the distribution of the bedkits in its area. 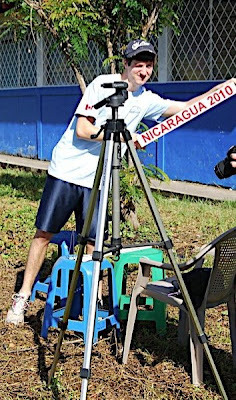 The Honduras newsletter contained reports by volunteers from Caledon, Cobourg, Kingston, and Milton. Volunteers pay their own expenses. Homes are made from whatever materials are available, and all have dirt floors. Cooking is done in a clay oven outside the living quarters. Generally, 'outhouses' are shared among families. Marilyn, from Cobourg, talked with three children, ages 11, 10 and seven. The 11-and seven-year-old girls would like to become doctors, while the 10-year-old, who's good in mathematics, wants to be an accountant. Said Marilyn, "I gave each child a cookie. The boy broke off a small piece and wrapped the rest in a serviette. Both girls also wrapped up their treats. Their mothers don't have the means to make cookies and certainly couldn't afford to buy them." As Greg from Caledon said, "I understand why Murray Dryden did what he did. I'm glad to help." If you, or someone you know, would also like to help, send your cheque for $35 to Sleeping Children Around the World, 28 Pinehurst Cres., Toronto, Ont., Canada, M9A 3A5. General Manager, Sherway Gardens; Dave Dryden, Chairman, SCAW. The 2010 award-winning Santa Experience was a huge success at The Sherway Gardens and is pleased to present a cheque for $32,746 to Sleeping Children Around the World, a locally based charity. SCAW is a charity that provides bedkits for children in need, specifically in developing countries around the world. The Sherway Gardens' Santa Experience is an entertaining and interactive event for children, which consists of singalongs, dancing, and story reading sessions where children get to share their wishes with Santa and pose for an informal photoshoot. Sleeping Children Around the World provides bedkits to children of any race and/or religion who will benefit the most; typically being located in underdeveloped and developing countries. 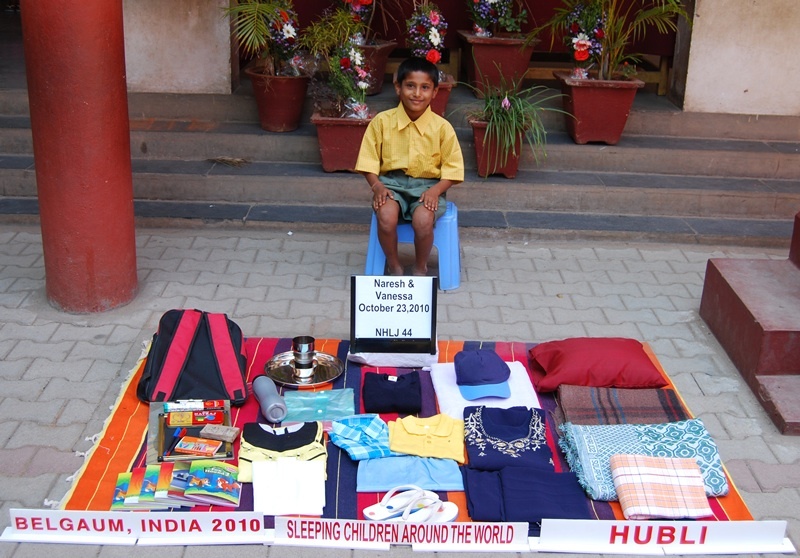 No portion of a bedkit donation is spent on administration — 100% reaches a needy child. Each bedkit consists of a mat or mattress, pillow, sheet, blanket, mosquito net (if applicable), clothes outfit, towel and school supplies. Bedkit contents vary from country to country depending upon local needs. Visit www.scaw.org for more information. As posted on Laura and Kelly's Wedding Design blog, January 17, 2011. Giving a donation to a special charity in your guest's honour in lieu of a traditional wedding favour is nothing new... but the charity "Sleeping Children Around the World" (SCAW) was definitely new to me when I saw one of our amazing couples, Vanessa and Naresh support them at their wedding last October. In lieu of traditional gifts, Vanessa and Naresh bought a bed kit through SCAW for every guest table at their wedding... And they had close to 50 tables. Bed kits are given to needy children in over 33 countries around the world. Each kit consists of: a mat or mattress, pillow, sheet, mosquito net, clothes, school supplies, a towel and other necessities specific to their area. What made this charity stand out for me was the direct impact it made on each guest at their wedding. See what makes SCAW unique is that every child who receives a kit is photographed by volunteers with their kit, showing the donor's name, country and special occasion. Each photo is mailed back to the donor providing a direct connection between the donated funds and the child who's life you've impacted. Every table at Vanessa and Naresh's wedding had a beautiful write up about SCAW, but most importantly the picture of a different child who directly benefited from the donation they made in their guest's honour. Paying close attention to guests is something we wedding planners do best at weddings and at Vanessa and Naresh's wedding, guests were incredibly humbled by the bride and groom's donation. Thanks for leading by example Vanessa & Naresh; you guys are truly incredible! As published in Viewpoint, January, 2010. 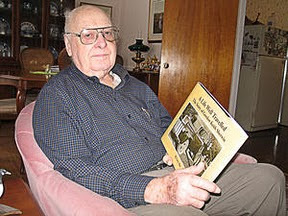 Murray Dryden had lived a full life. He was raised in a farming community in Manitoba and had learned at a very early age the valuable lessons of hard work. He also knew that life could deal you an unfair hand. He learned this during the depression. He knew the feeling of pride in proudly representing his country. He experienced this when he served his homeland in the war. He also learned the value of quality service. His thriving customized brick business was built on this central premise. At the age of sixty, Murray could reflect upon his life with great satisfaction. He and Margaret had a beautiful home in Etobicoke, a leadership role in their church and three successful children. In fact, Murray and Margaret saw each of their sons achieve stardom in the National Hockey League! Their lives were about to take a dramatic turn. Murray had dedicated his life to the demands of his business and he now looked forward to a slower pace. He could now enjoy his passion for travel. His spirit for adventure found him in India and as he left a train platform after a tiring day of travel, his thoughts were about finding sleeping accommodations for that night. He did not think that a simple fall would change his life. It must have been near nightfall because it happened without warning. Suddenly Murray was on the ground but puzzled by what had caused him to fall. He looked in disbelief. A small child asleep on the pathway had caused him to stumble. In that instant Murray must have recalled his tribulations during the depression when he often slept without the comforts of a proper bed. But he did not dwell on this. Murray was a man who was not afraid to take decisive action. He decided that something must be done. His passion for change began to take shape. When he returned home he could barely contain his enthusiasm as he shared his ideas with Margaret. They decided that their plan required a contact in India who could assist them in bringing their plan alive. The YMCA of Bombay filled this need. Murray returned to India and was introduced to St. Crispin's Orphanage in Pune. He eagerly shared his plan with the administrators. He wanted to select 50 of the neediest children served by the orphanage. He insisted this number be composed evenly of boys and girls. He identified the items that he wanted to have included in a "slumber kit". His intention was to give a gift of peaceful sleep. Each child would receive a mattress, bedding items, some new clothes and some basic school supplies. Furthermore, he insisted that all these items be made by the simple cottage industry of the city. The $15.00 cost of each kit was no obstacle. Murray was not only decisive - he was generous too! Murray and Margaret Dryden were unaware that they had just created the template for a charity that would touch the "hands and hearts" of over one million children in 34 different developing countries. What they did know is that they had done what they thought was right. They were guided by the inspirational belief that "it is the right of every child to have a peaceful night's sleep". 100% of all donations must go to the bedkit for each child. All items for the bedkit must be produced by the local economy. All bedkits must be equally distributed between boys and girls. All bedkit recipients must be the neediest children in the cities and villages. All bedkit recipients must be of school-age and live in a simple home. All volunteers must cover 100% of their personal costs with out benefit of a tax receipt. Each child who received a bedkit must be photographed and a picture returned to the donor. There must be no requests for donations through tele-marketing or mail-outs. All donations must be an act of "free-will giving". Today, Sleeping Children Around the World no longer benefits from Murray's personal touch. Murray passed peacefully at the age of 93. His legacy continues as this charity is recognized as one of the finest in Canada. Many stories of success can be enjoyed by visiting the website at www.scaw.org. For further information phone 416-231-1841.
and how he started his successful transport business. -- War hero, successful local businessman, world traveller -- you probably already knew these things about Gord Sherwin. Now, with the publication of his biography, A Life Well Travelled, you can learn some of the details. Displaying a copy in his Baltimore home this week, he relates how his children -- Diana, Elizabeth and Jay -- had long urged him to set down in writing some of the stories they loved. Then, when his friend Angus Read published his own biography, Don't Tell Me It Can't Be Done, Jay decided his father should do the same. The same author was commissioned: Gary May. "There are some minor factual errors in the book, but they are not important really. I went through the drafts, and you always miss something," Sherwin said. "I think he did a great job. We would go through sessions three or four hours at a time. How he made sense of all that I don't know." Nevertheless, the life of Gordon Keith Sherwin is set out in 10 chapters, from The Yorkshire Sherwins (Chapter One) to Making Sense Of It All (Chapter Ten), followed by a mini-family album and Sherwin family tree. Sherwin's father had only one skill: farming. Unfortunately, those hard Depression years were a grim struggle to hold on to the farm and not go on relief. Marion Deviney was a Vernonville girl who fell in love with the young man who worked occasionally on her father's farm. She went on to become a teacher, while Gord finished Grade 12 in time to join the air force and do his part in the Second World War. That included an ill-timed parachute jump that landed him behind enemy lines. Fortunately, a sympathetic French family hid him from the Germans. Once Gord came home, his bride-to-be urged him to continue his education. He dragged his feet, not wanting to be the oldest guy in a Grade 13 classroom. Fortunately, he stumbled into the trucking business while talking to a man who had one, wanted to get rid of it and priced it attractively. The cover of the book shows the brand-new 1946 Ford truck he bought for the business from Arthur E. Smith's dealership (where the Mr. Sub shop now stands in downtown Cobourg). It was two days before his wedding, and he managed to buy tires for it in time for a friend to carry on the business while the new Mr. and Mrs. Sherwin enjoyed their honeymoon. The couple would pursue a number of interests over the years -- especially gardening and writing for Marion, and serving on the board of education and racing horses for Gord. He was president of the Ontario Harness Horsemen's Association for five years and a one-time member of the Ontario Racing Commission. His business would take many forms over the 52 years he ran it. He couldn't wait to get out of livestock transport, not relishing the challenge of roping mean sows or watching tearful farmers saying goodbye to animals they'd come to see as pets. Milk transport was far more enjoyable, especially when the cumbersome 110-lb. milk cans were replaced by tanker trucks. In time, he'd service some 250 producers in four counties. Following a career as geologist with Shell Minerals, his son Jay took over the business. Long before that, however, it was established enough for him and his wife to take the exotic two-and three-week vacations they loved. They would land on every continent except Antarctica and Australia, get close-up looks at animals that ranged from camels to rhinoceroses, and see points of interest that ranged from Machu Picchu to Masada. They would even hit Argentina and Uganda in the 1970s during the heavily armed heyday of (respectively) Juan Peron and Idi Amin. In the late 1980s, through Sherwin's membership in the Rotary Club of Cobourg, they would meet Murray Dryden, father of Ken and founder of Sleeping Children Around The World. The Sherwins began travelling with a purpose, to distribute some 20,000 of these sleeping kits to children in Asian and South American countries. They would continue until Marion's health began to fail. They were recognized -- with a 1996 Paul Harris Fellowship from the Rotary Club for Marion and a 2001 YMCA Peace Medal for both of them. "These personal stories are interesting to people who know who you are, but maybe not to people further removed," he demurred. However, like many biographies, it's more than just personal. Along with the story of a loving couple, it offers a glimpse into other times -- when dating meant dances at the old Cobourg Pavilion, when first-class travel was affordable, when cheese factories dotted Northumberland in almost every small community. May is very pleased Sherwin has left a recorded legacy. "Everyone has an interesting life in some way, but I found Gord's particularly interesting because of creating his own company and his war-time experiences," he said. "It's called A Life Well Travelled, a play on the theme of his creation of the transport company and also the work he and Marion did. They did a lot of international travelling, and a lot of it was for charitable organizations, so it was a play on that." May said that a copy has been placed in the Cobourg Public Library, which has a special local-history room. As posted on the EduAGAIN Website, February 6, 2011. The members of NoBS Photo Success, which provides online digital photography resources, nearly doubled their donations this year for Sleeping Children Around the World (SCAW). In December 2006, members of the photography forum site managed to raise more than $4,700, which was enough to purchase over 150 bed kits. By raising $7,090 this past December, they were able to purchase more than 200 bed kits. NoBS Photo Success founders Robert Provencher and James Hodgins once again donated $1,000 of their own money to this recent effort. The inspiration for this fundraiser was NoBS Photo Success cofounder James Hodgins. Looking for a way to give back and show gratitude for his success, Mr. Hodgins rallied other members of the digital photography resources site to contribute towards helping those less fortunate. They chose SCAW, according to Mr. Hodgins, because he knew that NoBS Photo Success members wanted 100 percent of their donations going directly to needy children. Sleeping Children Around the World guarantees that all donations go directly to buying the bed kits, which are produced in the respective countries receiving the donations. NoBS founders Rob Provencher and James Hodgins had hoped to raise $10,000 in the second annual drive, but were pleased nonetheless that members stepped up to nearly double the total from the first drive. To read more about SCAW and their work, go to www.scaw.org. As published in the Caledon Citizen, January 6, 2011. For full report go to the link above. There was a lot going on at Ellwood Memorial Public School in Bolton, according to Principal John Stegeman. The activities included collecting some 2,000 cans of food for CCS, and Stegeman said each staff member contributed a toy to the cause. In addition, the school stepped up to support Sleeping Children Around the World, with families donating enough to provide 70 sleeping kits. Stegeman also saids the Grade 5 students were supporting a needy family while the rest of the school worked to help out two more. For the entire report go to the Caledon Citizen website. NOTE: Click the photos to see a larger version. Mohamed Gandhi once said “be the change you want to see in the world”. No other quote has uplifted me more or inspired me in such a way as this one. Not surprisingly, as a teacher, this belief has laid the very foundation to which I teach upon and I am thrilled to see that my grade 4/5 students understand and appreciate this message too. In recent months, my class has engaged in many discussions about issues facing developing countries. One particular issue that struck home for the class was the mass number of children living in poverty worldwide. Coming from a place in which all of our basic survival needs are so easily met, many students couldn’t understand why so many children in developing countries were without adequate shelter and why so many children rarely lived to see their 5th birthday. Although shocked by facts such as these, my students were also inspired to do something about childhood poverty; they were inspired to be the change. As a result, the 4/5 class decided to make Christmas decorations to sell as a fundraiser for Sleeping Children Around the World. Each student made a decoration and then also worked as a part of either a selling or advertising committee. As a teacher, I am incredibly proud of the passion and commitment my class put into this project and am pleased to announce that the class raised just over $110 dollars which allowed us to purchase 3 bedkits. On behalf of the 4/5 class, I would like to thank all of those involved in Sleeping Children Around the World. Your passion and commitment to ending childhood poverty is truly inspiring and has motivated us to continue to help others in need. As posted on the Nightmare Nibbler website. At Nightmare Nibbler, it is important to us to give something back to the community. We enjoy the intangible benefit of giving and feel that supporting a charitable organization not only helps them, but us as well! We are thrilled to announce our support of the Canadian charity—Sleeping Children Around the World (SCAW). A portion of each Nightmare Nibbler sale will be donated to this very worthwhile cause. Sleeping Children Around the World (SCAW) donations provide bedkits to children of any race and/or religion who will benefit the most; typically being located in underdeveloped and developing countries. Each $35 donation (Canadian funds) provides a bedkit that consists of a mat or mattress, pillow, sheet, blanket, mosquito net (if applicable), clothes outfit, towel and school supplies. Bedkit contents vary from country to country depending upon local needs. Murray and his wife, Margaret, went on to found Sleeping Children Around the World in 1970 and since then, SCAW has raised over $23 million to provide bedkits for children in 33 countries. SCAW’s dream for “A world in which every child benefits from the comfort of a good night’s sleep”, is one that we share. We feel this beautifully complements our vision of helping children to manage their nightmares so that they may have a peaceful and restful sleep. For more information on SCAW please click here.